Barberry, Oregon Grape, and Goldenseal all contain berberine, a powerful anti-fungal antibacterial compound, making them all excellent antibiotics. Some herbalists have used these nutritional supplements for yeast and fungal infections, showing promising use in treating athletes foot. The action of berberine in skin conditions is what makes these herbs important in this discussion. Recent studies have shown that berberine extracts may be as effective as metaformin in helping some diabetics control their blood sugar, but as always, check with a medical professional before adding any herbal supplement to your regimen. Oregon grape has been used as a tonic for digestion and circulation, and to support skin health and chronic skin conditions. It's not stimulate gall bladder function, and to be helpful in skin conditions linked to poor gall bladder function. It's also found use as an herb for eczema, psoriasis, acne, boils, and herpes. One of the most convenient ways to take Oregon Grape is a liquid tincture. I've found the quality of the tinctures from HerbPharm to be excellent. They have Oregon Grape Tincture in 1 oz and 4 oz sizes. Barberry, also acts on the gallbladder and is thought to improve bile flow and helpless situations and conditions such as gall bladder pain, gallstones, and jaundice. It's also thought to have a positive effect on liver and some herbalists adjust its use for hepatitis, diarrhea, and for its positive effects on the digestive system. Although the berries are extremely sour they have been used to make preserves, and in France have been used to make confiture d'epine vinette. 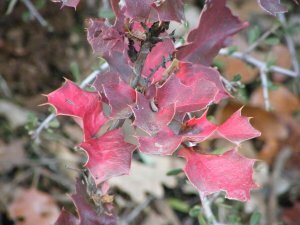 "The barberry (berberis vulgaris) is a mountain shrub, which has, as its name suggests, thorns triple and daunting. Clusters of yellow flowers in spring, clusters of red berries pruineux (white) in the fall, you have to collect them with scissors. It is a small oval fruit very acidic, full of vitamins and pectin, which can also be used dried: red beans used in Iranian cuisine, it's the same thing ... "Sous le nom de zereshk" often poorly translated as cranberry. The fruit of the Barberry has been recognized for its antibacterial, anti-inflammatory properties, and as a digestive aid. The ancient Egyptians would crush the fruit along with fennel seeds to bring down fevers, but today, it is largely used to flavor teas, jams, and sweet and sour sauces. The plant has largely dissappeared from parts of Europe where it harbored diseases that affected grain crops, but it has adapted itself well to the eastern United States. 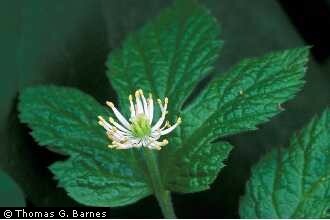 Goldenseal was at one time thought to be a cure-all, and was a regular part of Native American and particular Cherokee, herbal remedies. They were known to mix it with bear fat as an insect repellent, and as a lotion for wounds, ulcers, and sore , inflamed eyes. It was used internally again for stomach, liver, and gall bladder problems. Most modern nutritional supplementation with this herb or other berberine containing herbs is for its astringent, antibacterial, and soothing properties for the mucous membranes of the body. Because of over harvesting, wild goldenseal is disappearing from the American landscape, and there is a growing movement to restrict harvests and promote the production of goldenseal produced agriculturally.